We’re delighted to invite you to the SLA Europe Summer Drinks. 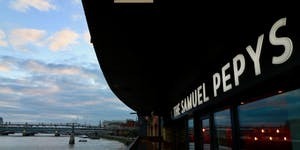 We’re holding it thanks to the generosity of our sponsor, CB Resourcing and we’re holding it at the Samuel Pepys, famed for its magnificent views over the Thames. We have our own section of this great venue including the famous riverside balcony. We’ll be serving food throughout the evening and providing a selection of drinks including soft drinks. A pay-bar will also be available. Housed in a 19th Century former Thameside tea warehouse, The Samuel Pepys opened in the early 1970s. Walk up the elegant spiral staircase to enter the loft-style bar and restaurant, which boasts many character features including wooden floorboards, full height windows and exposed brickwork. This is complemented by modern lighting, contemporary artwork and of course, spectacular river views. CB Resourcing provides recruitment and training services specialising in assignments across information, knowledge management, research, strategy and market intelligence. Founded in 2014 by two Directors with over three decades of combined industry experience, CB Resourcing has quickly grown to become a leading recruitment business in the information market with a team of experienced recruiters. 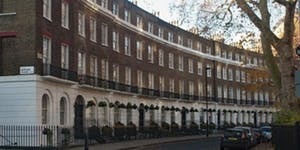 CB Resourcing’s clients include almost every major strategy consultancy, a number of global professional services businesses as well as investment banks, a large number of top law firms, content publishers, Analyst firms and Academic institutions.